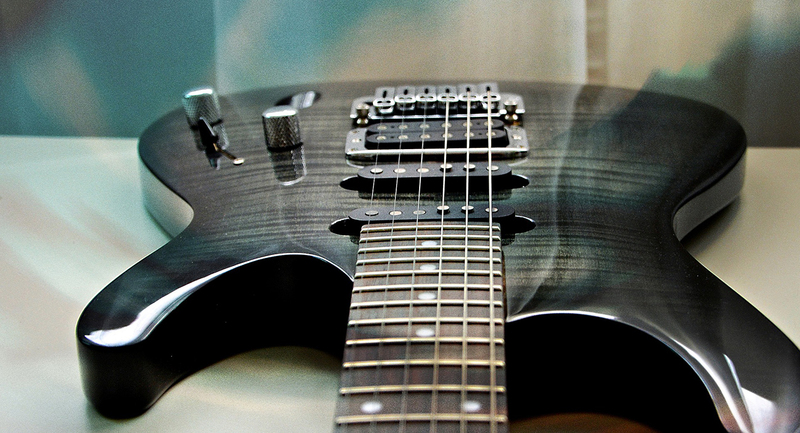 Buying your first guitar can be a daunting task if you aren’t 100% sure what to look for. Not to mention there are a dime-a-dozen cheap brands out there so how can you tell if you are getting a good deal? Here are some helpful considerations when making your first guitar purchase that will steer you in the right direction, whether you are shopping new or used. The string action of an electric guitar should be set nice and low (lower than an acoustic, on average). Whether the guitar is new or used, be sure to plug it in and check the electronics by wiggling the cord, turning the knobs, and checking each position of the switch – if the sound cuts out or sounds “dirty”, the electronics could use some cleaning or even replacement. Also check the frets to make sure there aren’t any divets on the surface of the frets – this is especially useful for a used guitar, since you want to make sure you have plenty of fret left for the life of the instrument and leveling the frets of the guitar can be an added expense you might not be planning for. Budgeting $200 - $500 for an entry-level electric guitar will get you a decent instrument that should be a joy to play. You might be able to find a used deal even cheaper, provided all the qualifications above are satisfactory. The important part of an acoustic is to make sure that the strings aren’t hard to push down, even if you are just starting out. Even if you don’t know how to play yet, sit the guitar down and strum a few notes. The string action should be as low as possible to make sure that learning won’t be a struggle. Check for rattling noises both inside and outside the guitar. Many introductory level acoustics come with an electronics system, which isn’t a huge deal to get right away as they are pretty easy to install later on by a seasoned technician. Budgeting $300 - $500 will get you a decent level introductory acoustic instrument but anything less than that is really too cheaply made to be a solid investment. With any stringed instrument, you should factor in the cost of a setup to have the guitar properly intonated and the action set properly so it’s not hard for you to learn on. Even if the guitar is new, it should be evaluated to make sure that it was constructed properly so you won’t have issues down the line.